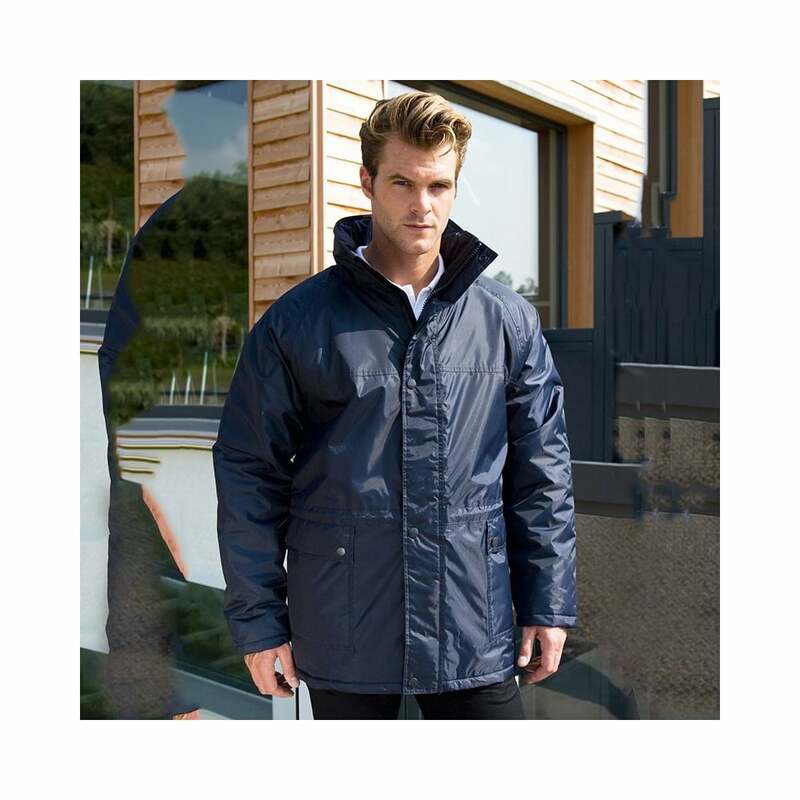 Result Core Managers Jacket is a very warm jacket that is longer in the length, it has a 2 way zip fastening, stud closing storm flap, fold away hood, pockets inside and out and an adjustable draw cord waist. 2 easy to wear colours available. Outer: 100% 210T Polyester with PVC coating. Lining: 100% 190T Polyester. Filling: 100% 140gsm Polyester fibre wadding. Waterproof 2000mm. Windproof.